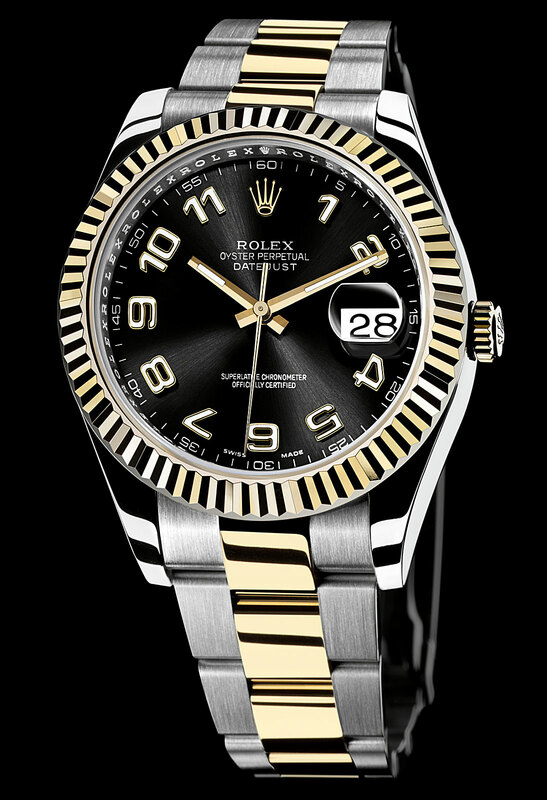 At Baselworld in Switzerland today Rolex introduced their all new 41mm Datejust II. 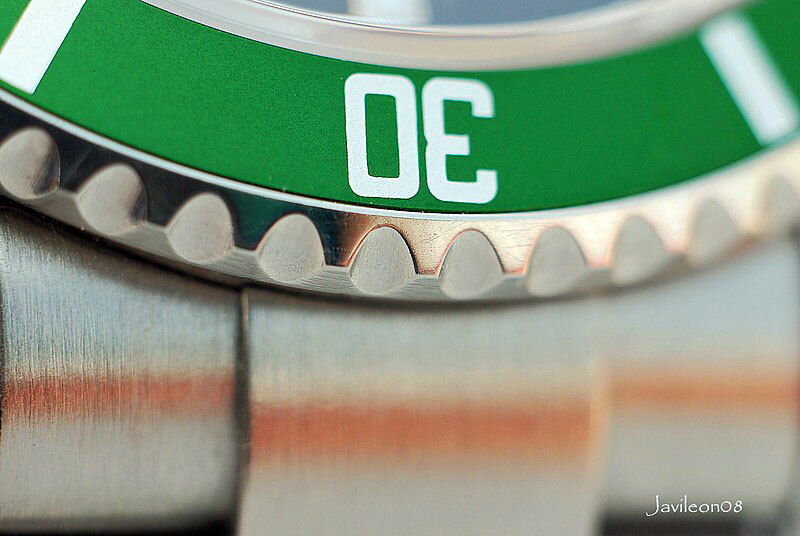 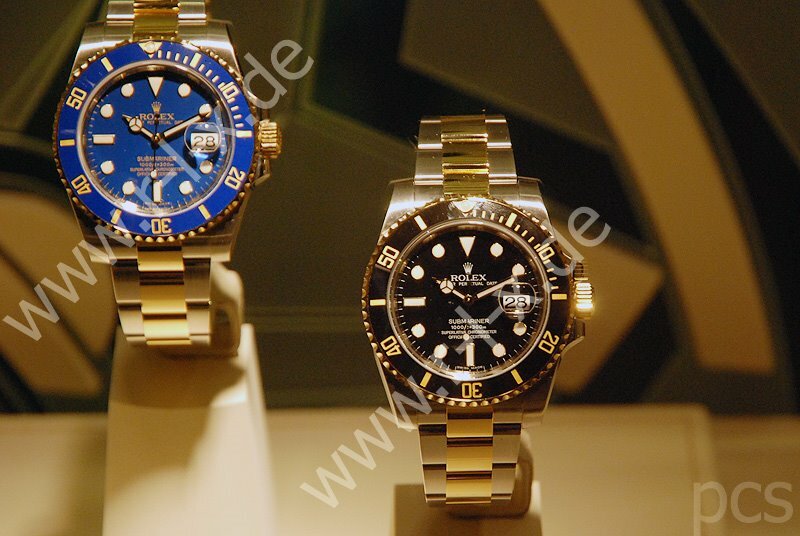 The images above are official Rolex photos and Percy from the German R-L-X.de Rolex forum took the following photos. 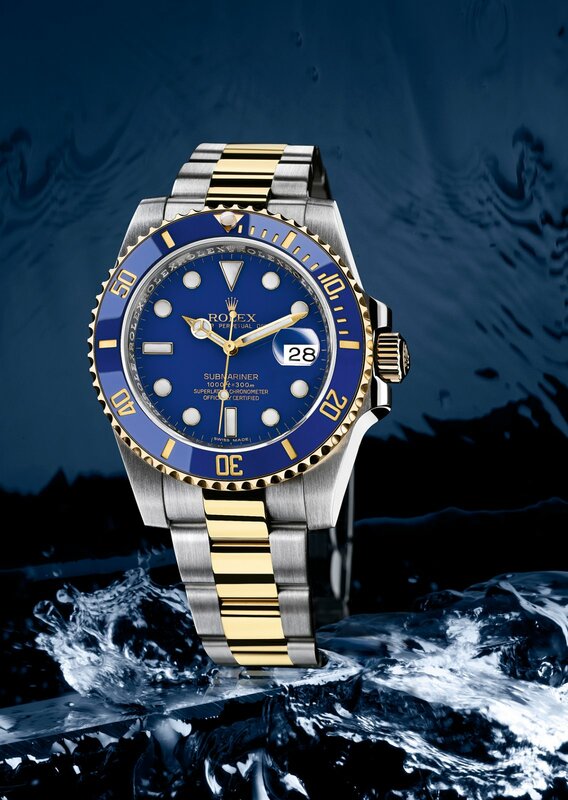 Today in Basel Switzerland, at the Baselworld tradeshow, Rolex introduced the two-tone version of their highly iconic Submariner. 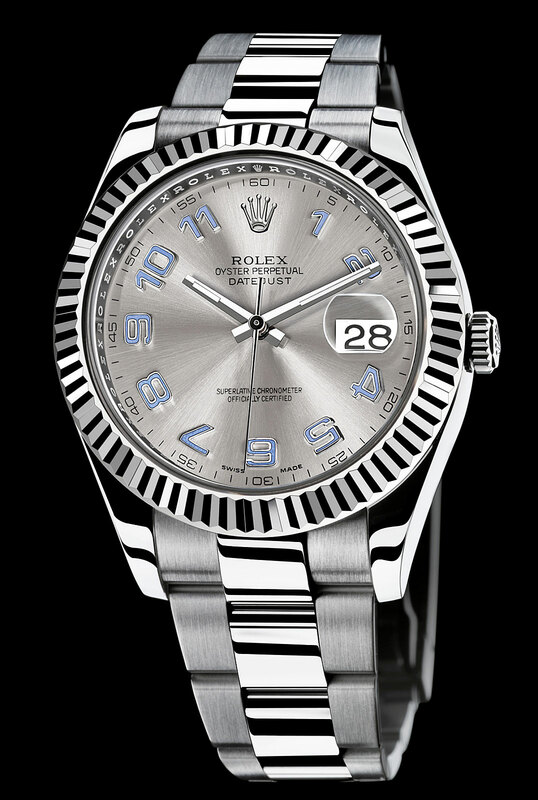 They are offering it in a black dial-bezel combo and a blue dial-bezel combo as seen below. 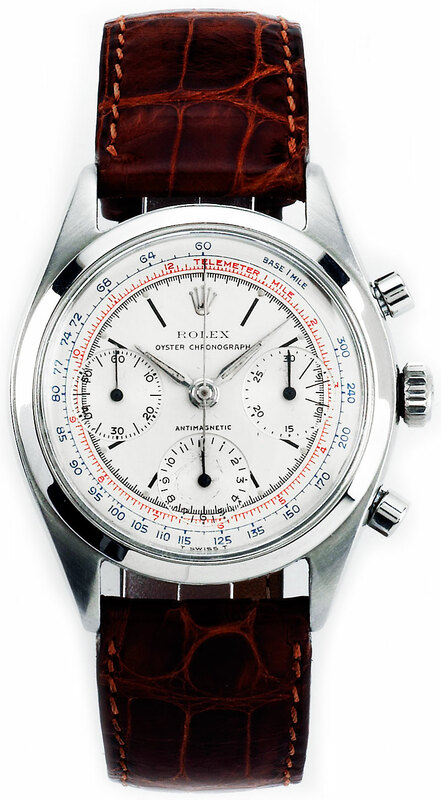 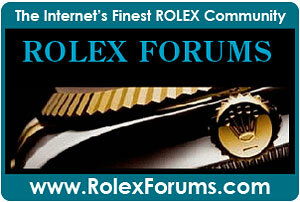 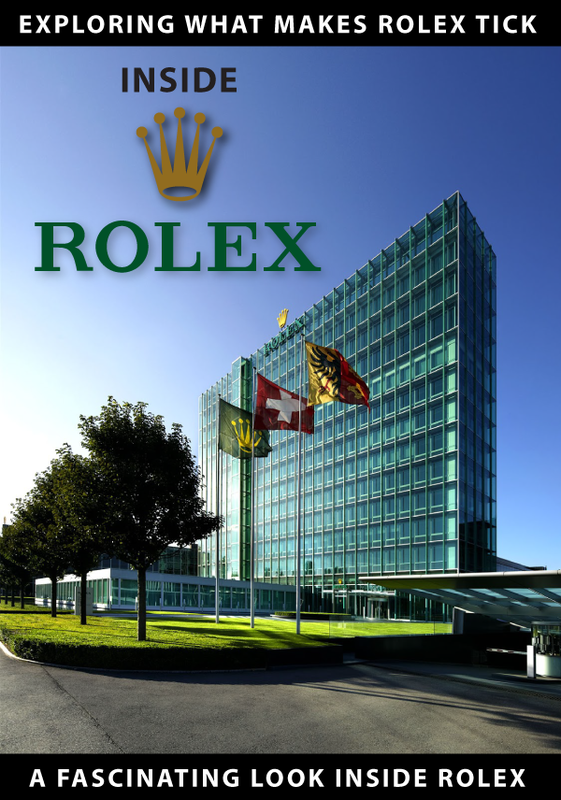 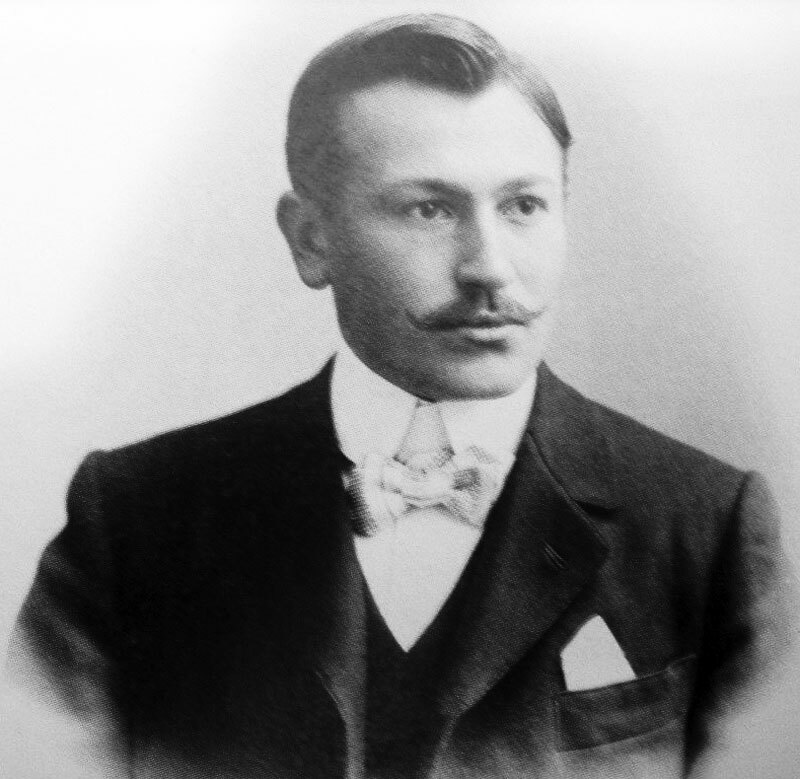 The images above are official Rolex photos and Percy from the German R-L-X.de Rolex forum took the following photo. 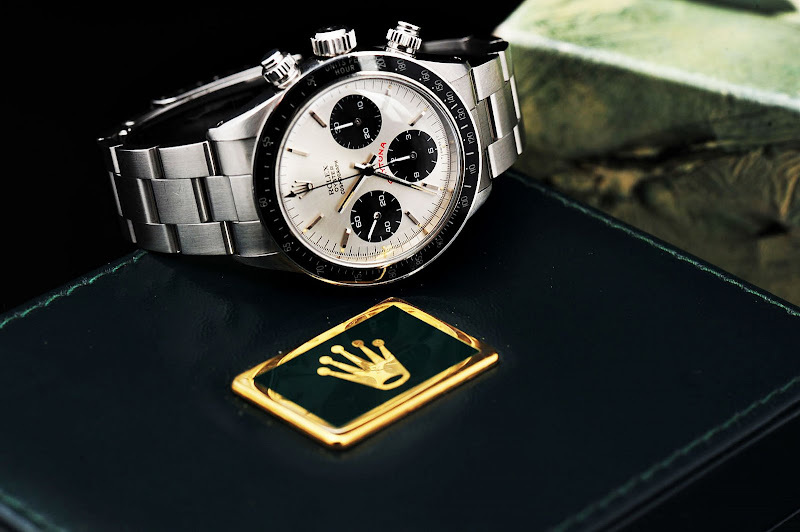 Baselworld is the largest and most significant watch show in the world and Rolex introduces its new models every year at Baselworld in Basel, Switzerland. 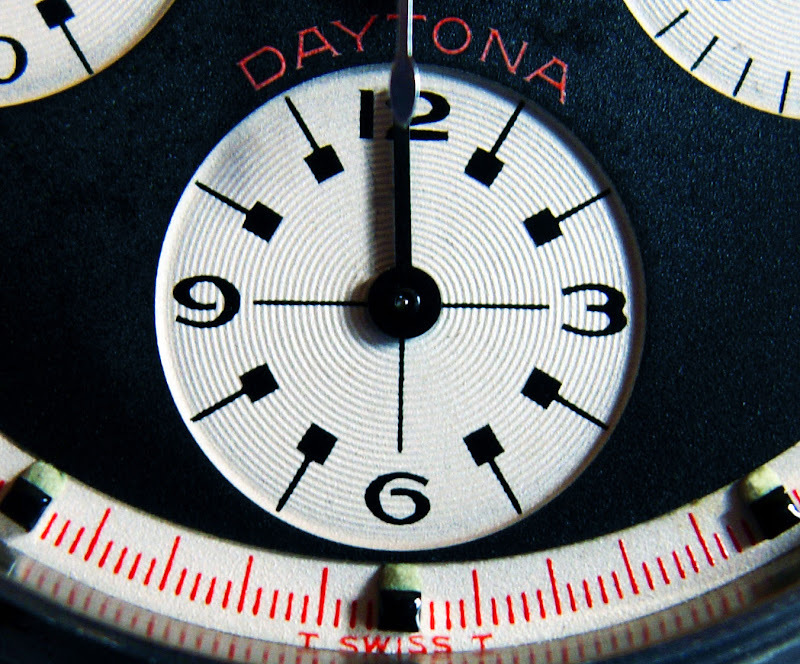 So what new models are we going to see later this week? 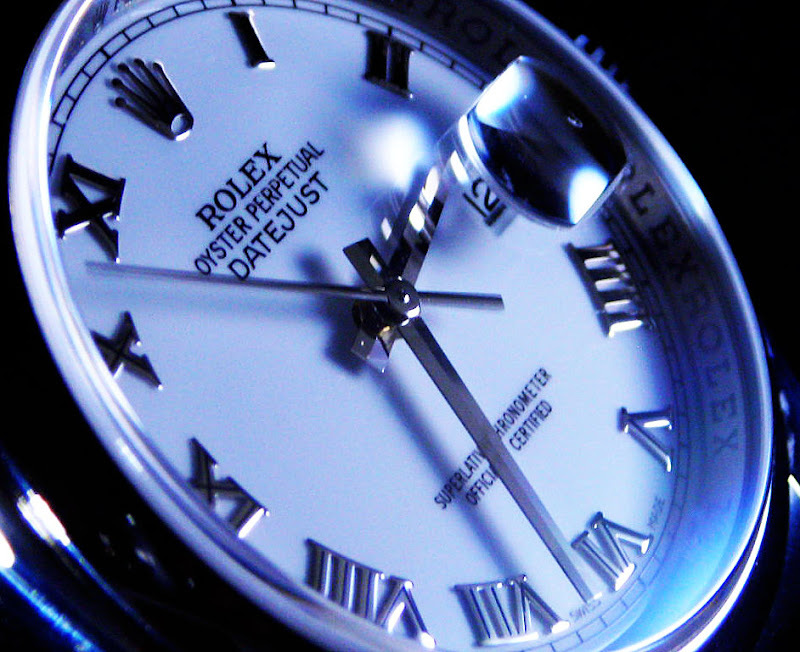 Nobody knows except for Rolex. 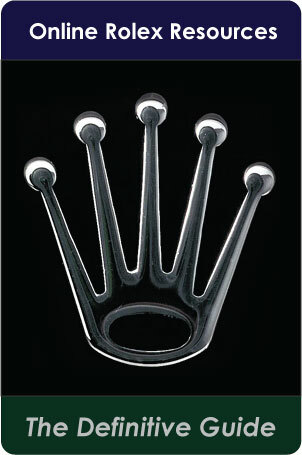 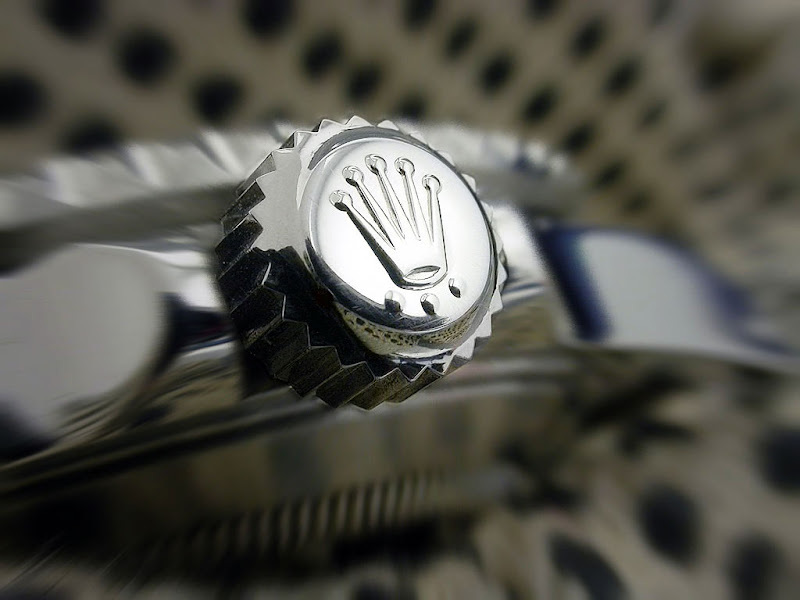 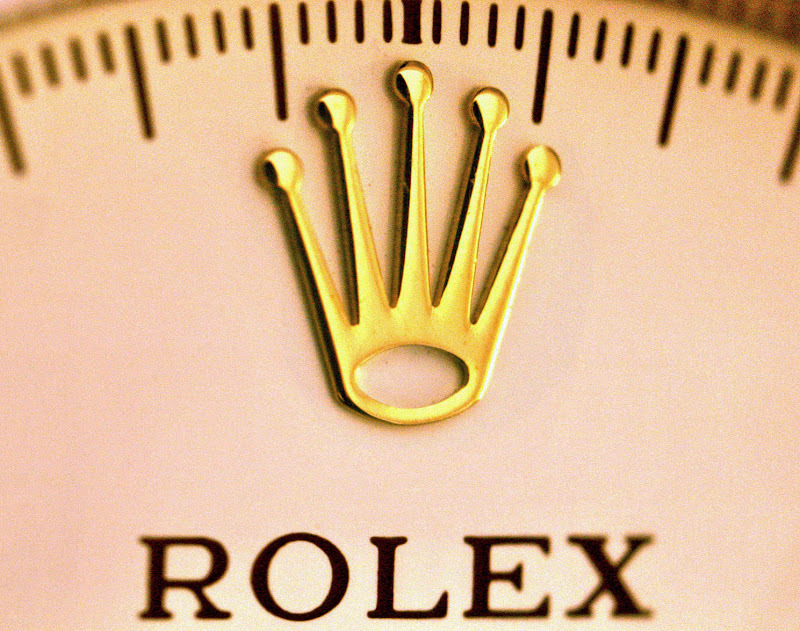 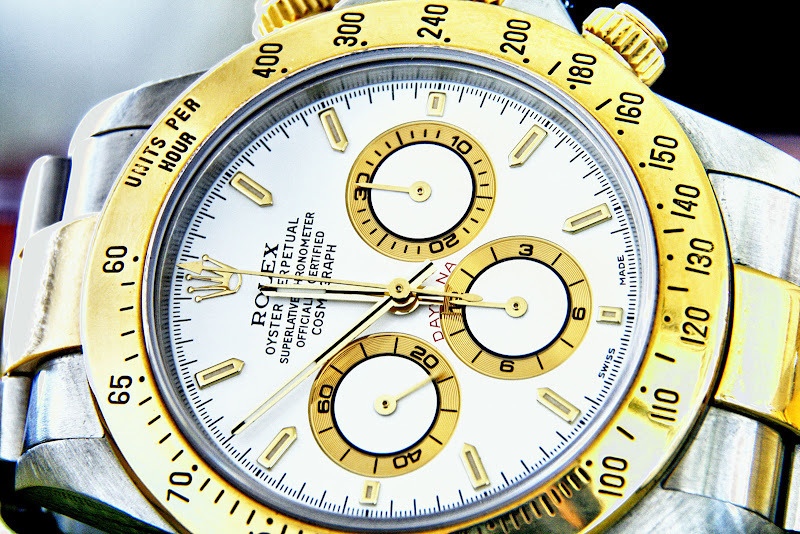 Rolex is just like Apple with the secrecy thing. 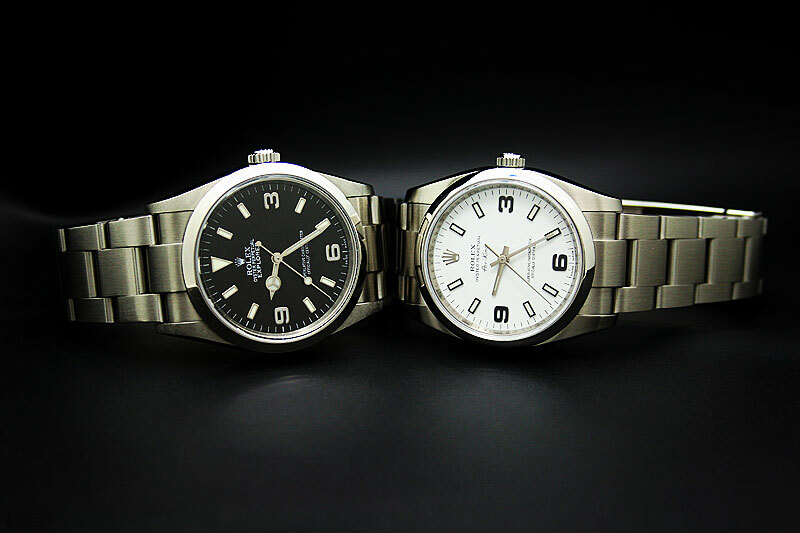 My best guess is that we will be seeing a Datejust 2 around 40mm, which should be a great addition. 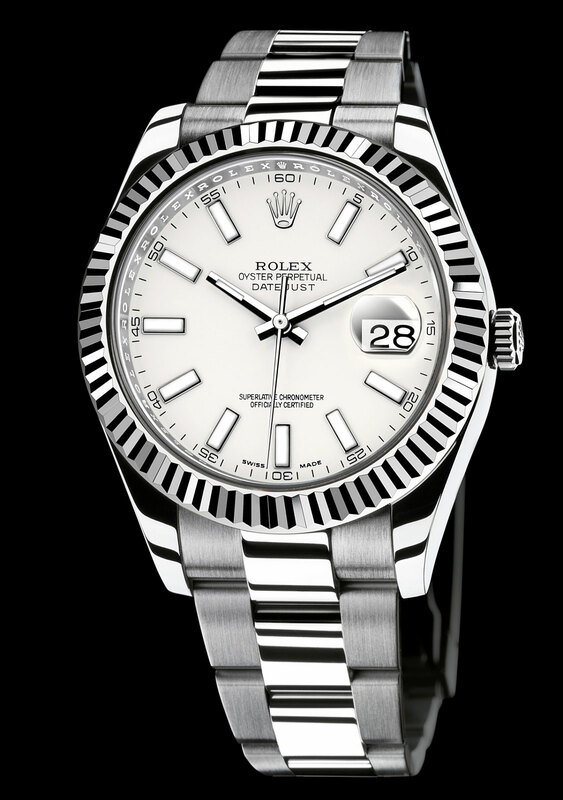 I hope Rolex introduces the all-new Supercase Submariner in all Stainless Steel but I realize they might hold off another year, but hopefully we will see the new two-tone Supercase Submariner. 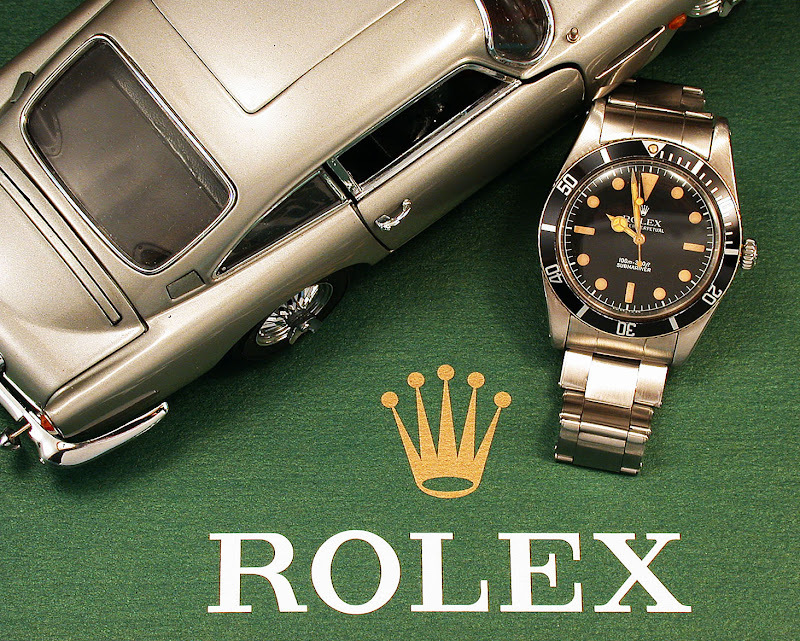 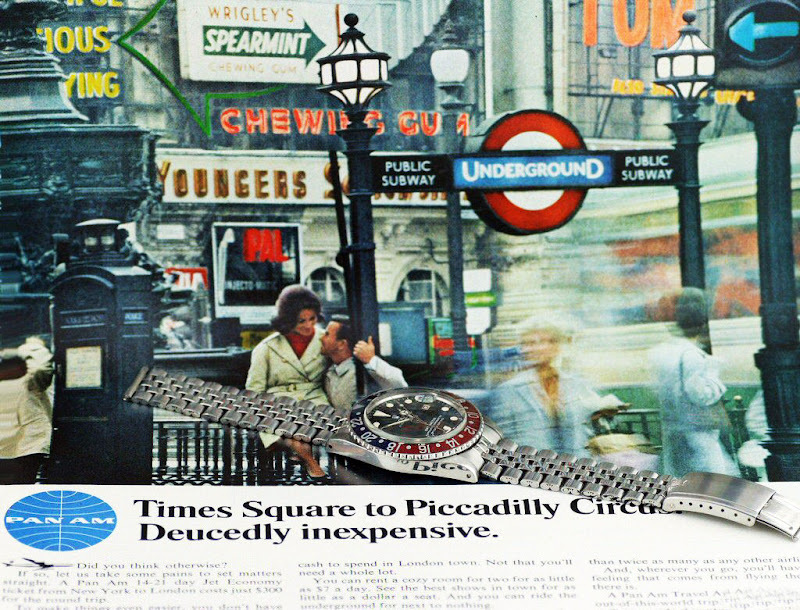 Rolex introduced the first Submariner at Baselworld back in 1954. 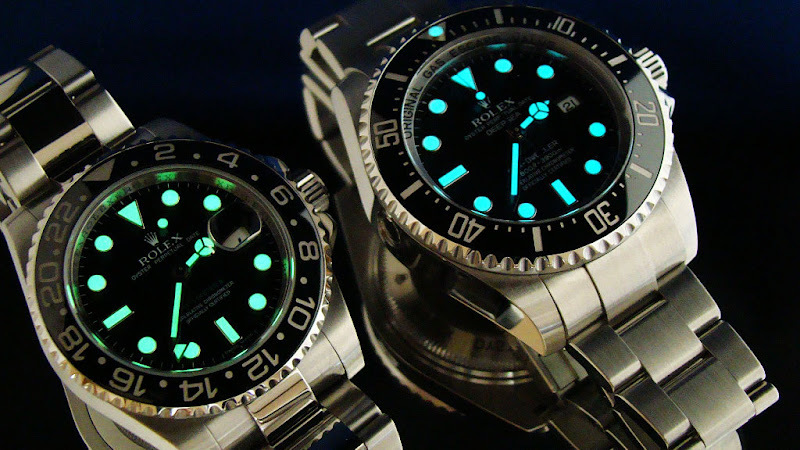 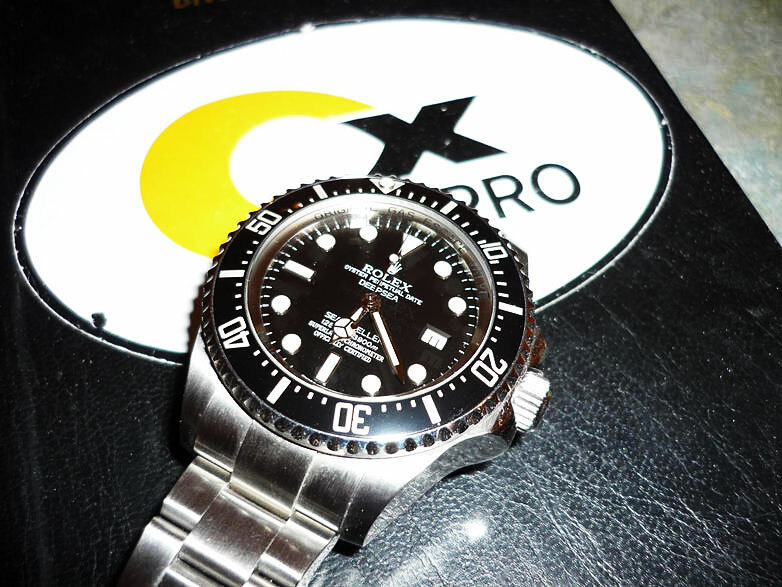 Mike is a moderator on RolexForums.com and he took this brilliant shot of his GMT Ceramic next to his DEEPSEA to compare Lume. 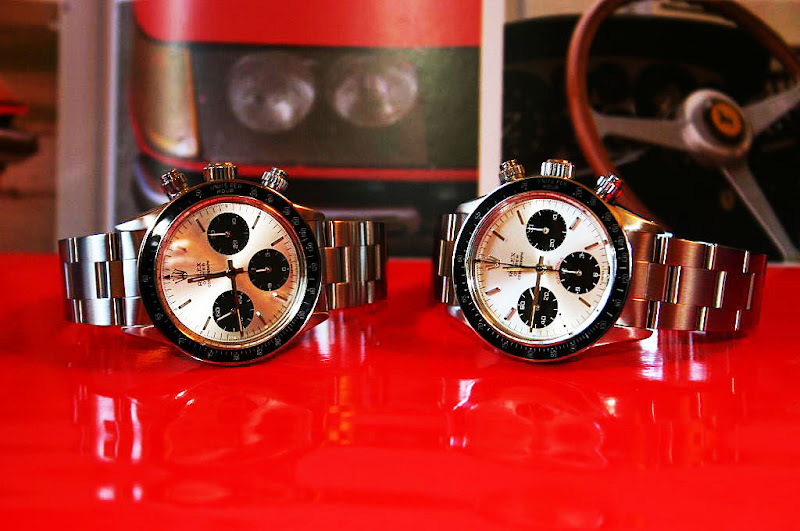 Bernhard has amazing taste and an amazing vintage Rolex collection. 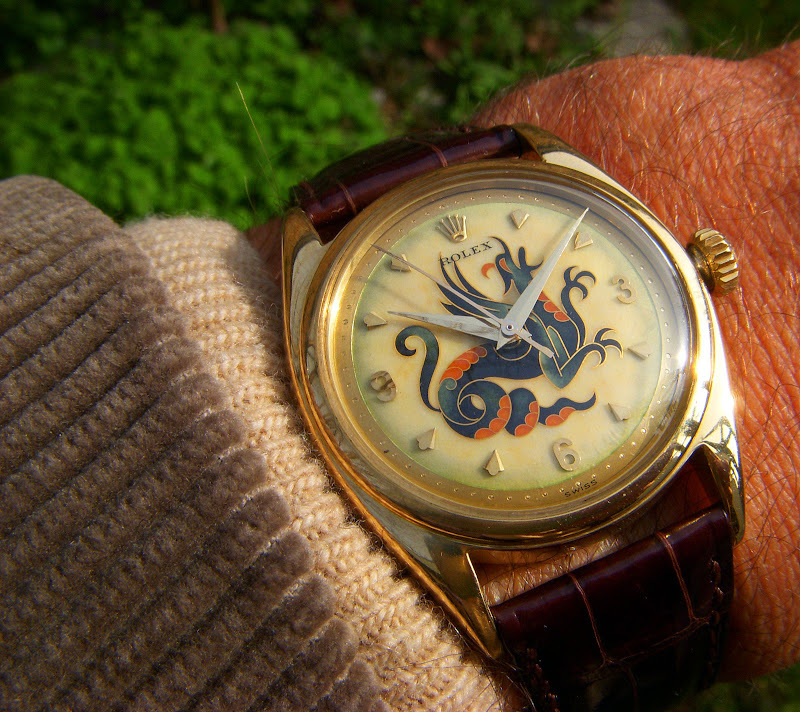 He sent in these amazing photos of his latest addition which he refers to as his "Big Red Panda." 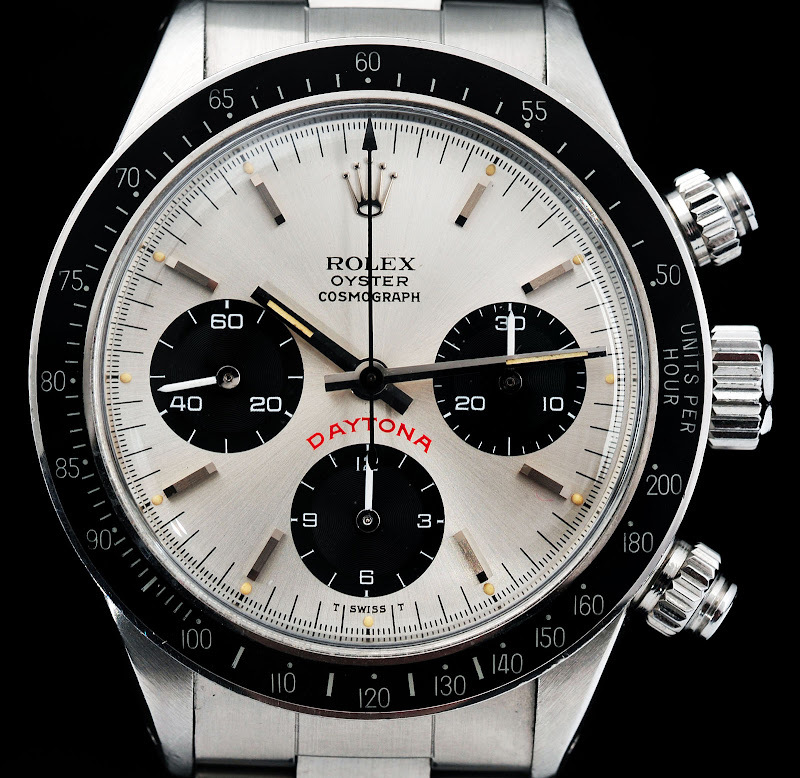 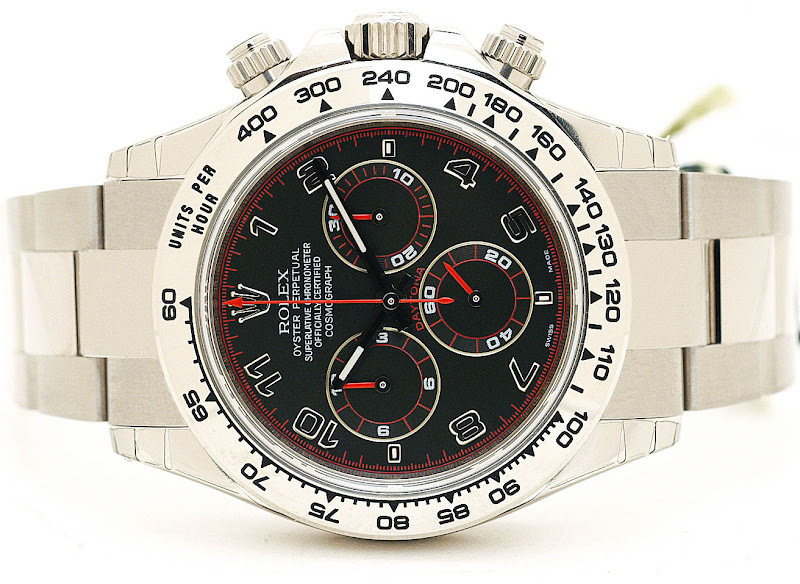 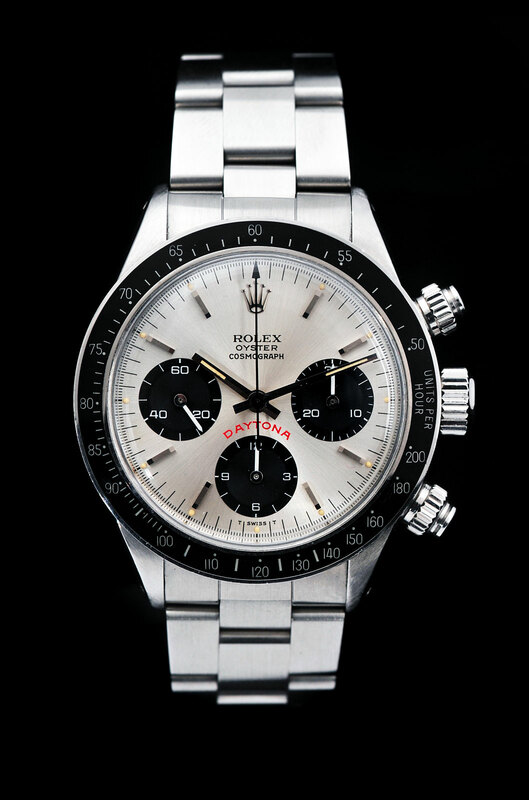 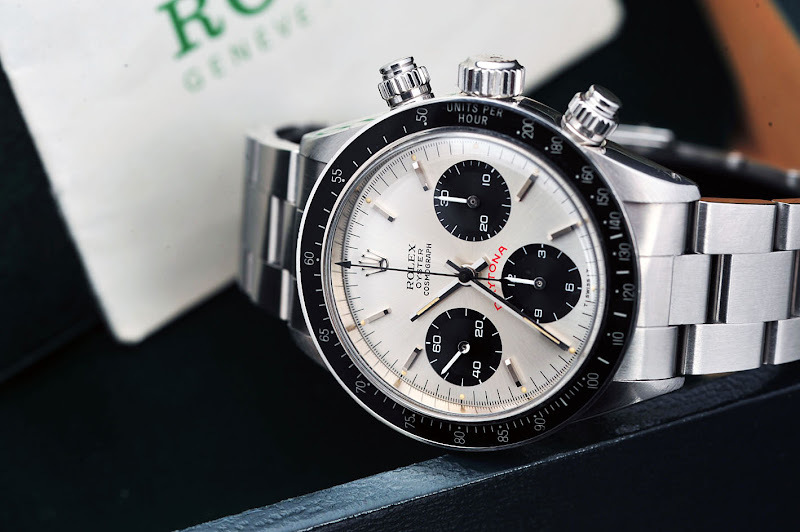 The 6263 is unusual because the red "Daytona" designation is larger than usual and sits up higher above the bottom subdial. 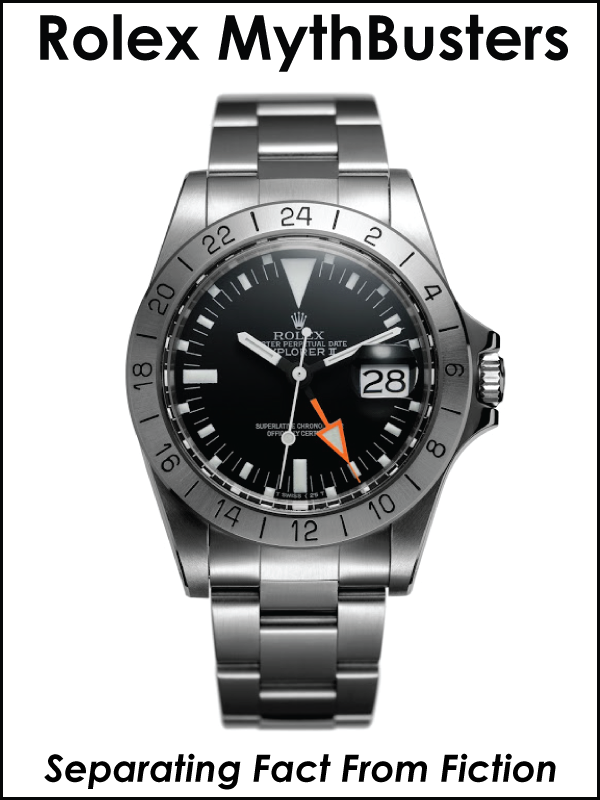 The Reference 6263 is the same model that Daniel Craig has been wearing lately. 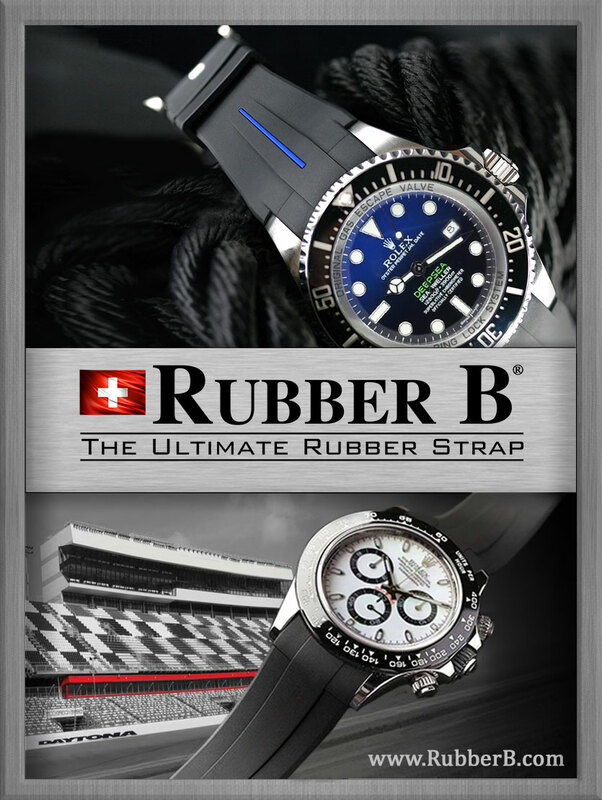 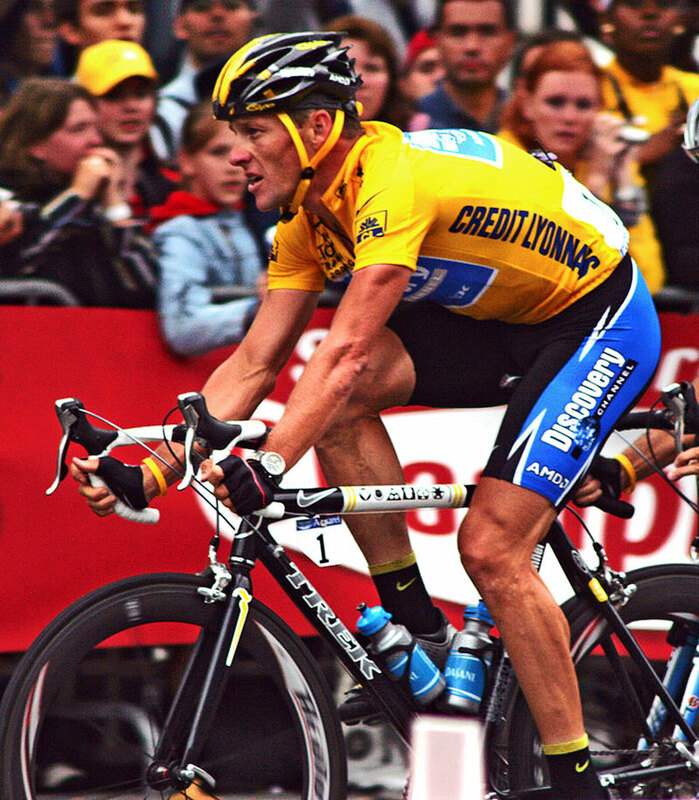 I would like to thank Bernhard for sending in these great shots!!!! 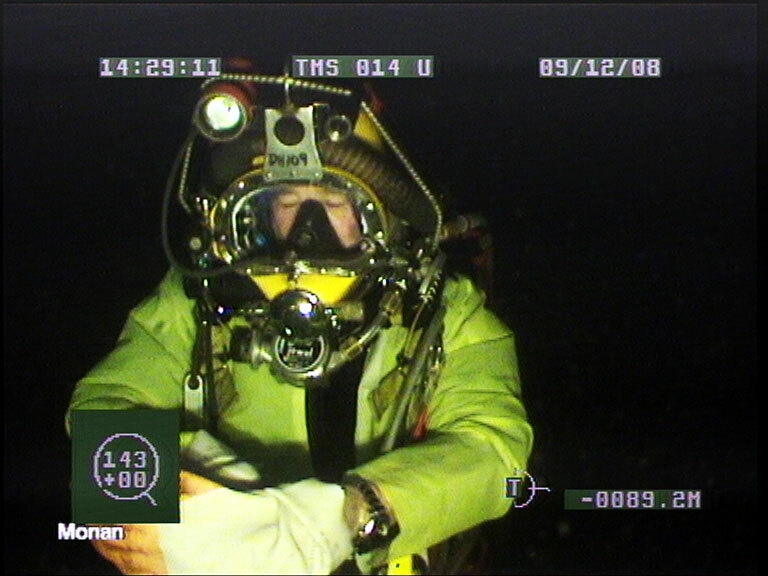 Mike O'Leary is a professional commercial diver for COMEX and he has a great website named diving-watch.org. 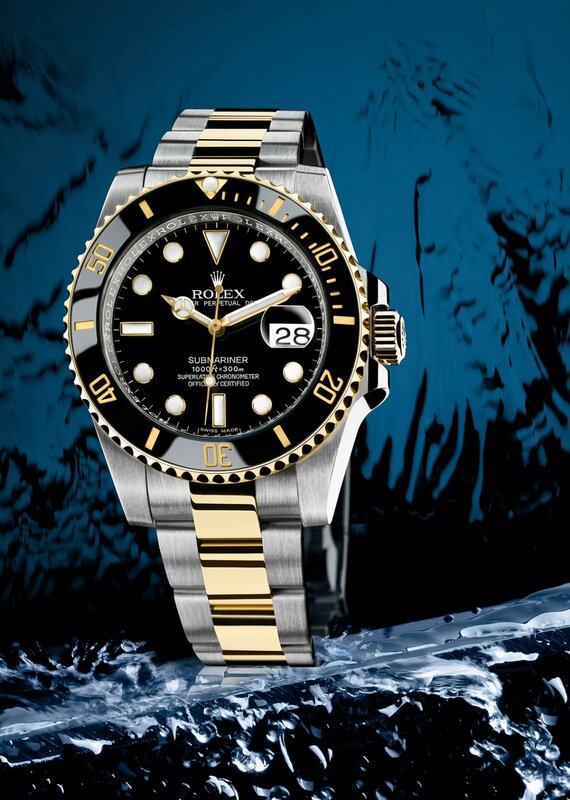 He recently posted a story on his site that shows him testing the new Rolex DEEPSEA SEA-DWELLER for the first time deep in the North Sea while performing maintenance and inspection work for British Petroleum. 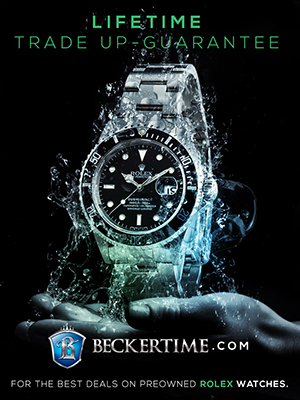 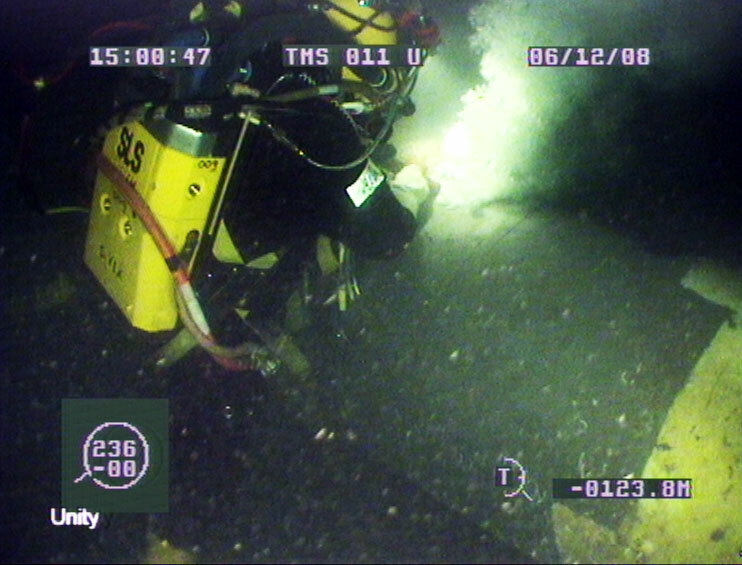 In the video located at the bottom of this post you can see the ROLEX DEEPSEA in action down 125 Meters (420 Feet). 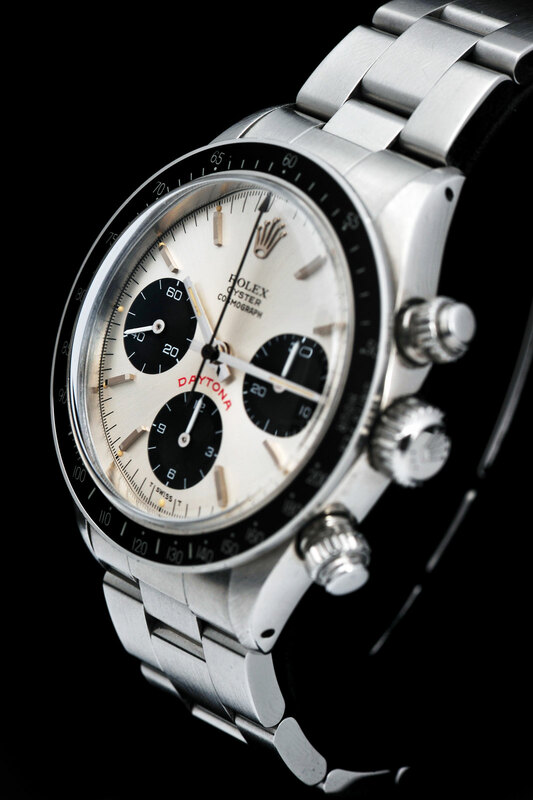 On Sunday, we saw 60 Minutes reporter, Scott Pelley sporting his trademark stainless steel Rolex Daytona with a black dial. 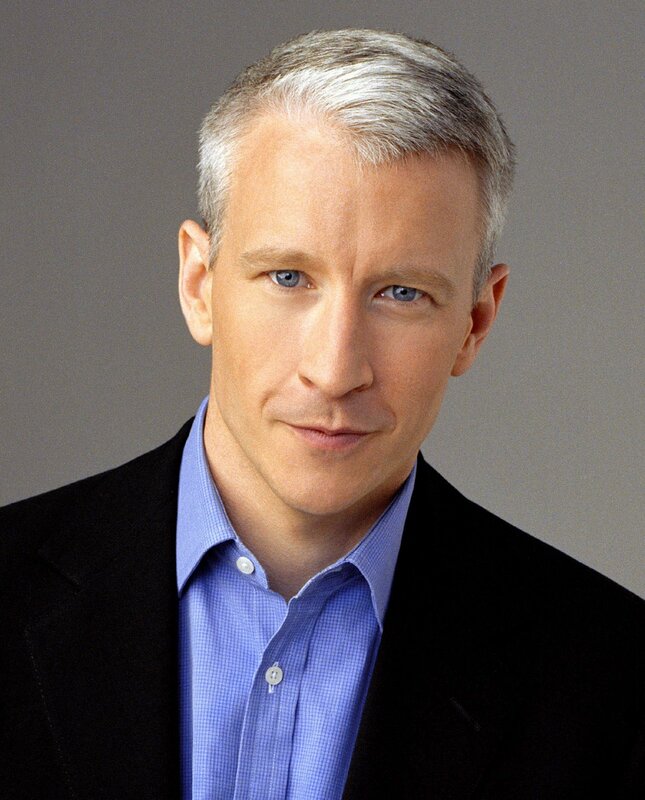 Anderson Cooper is a super reporter and he also reports for 60 Minutes. 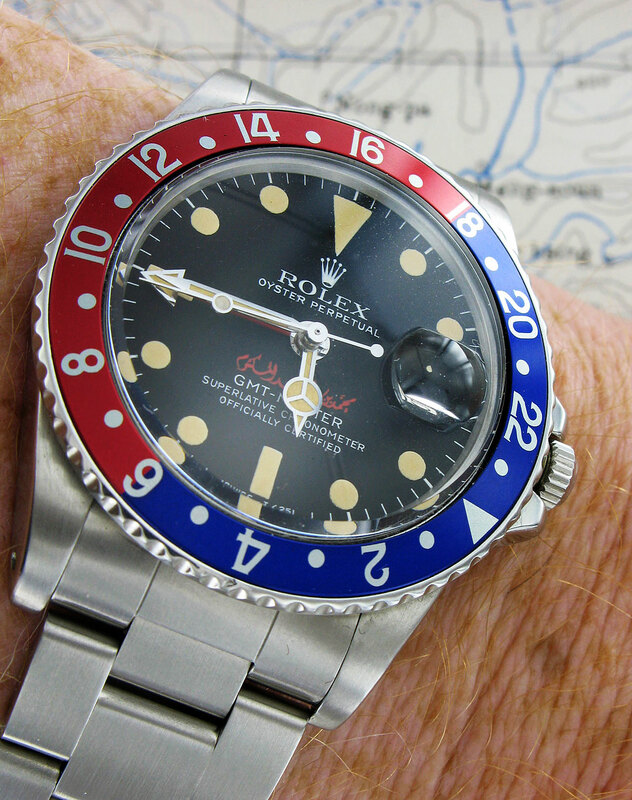 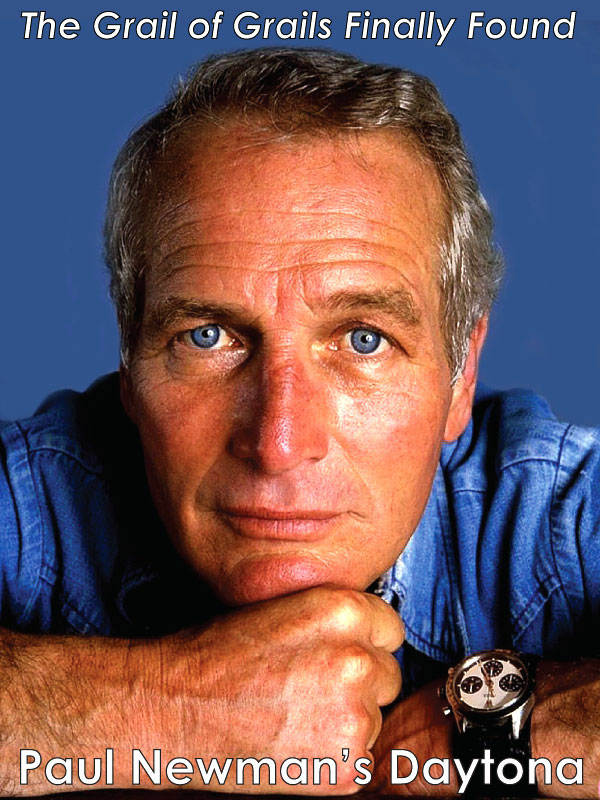 Anderson Cooper is pictured below wearing his trademark Rolex GMT Master II in stainless steel. 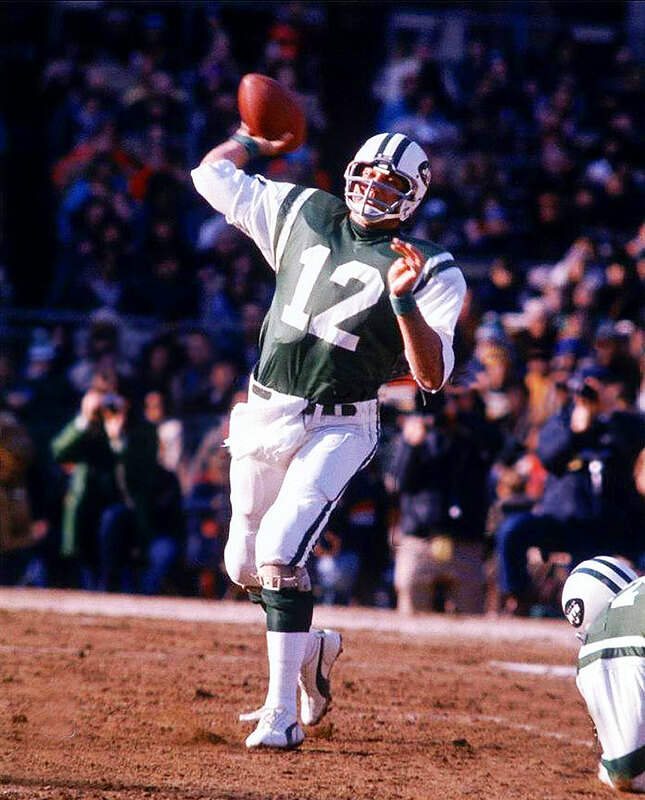 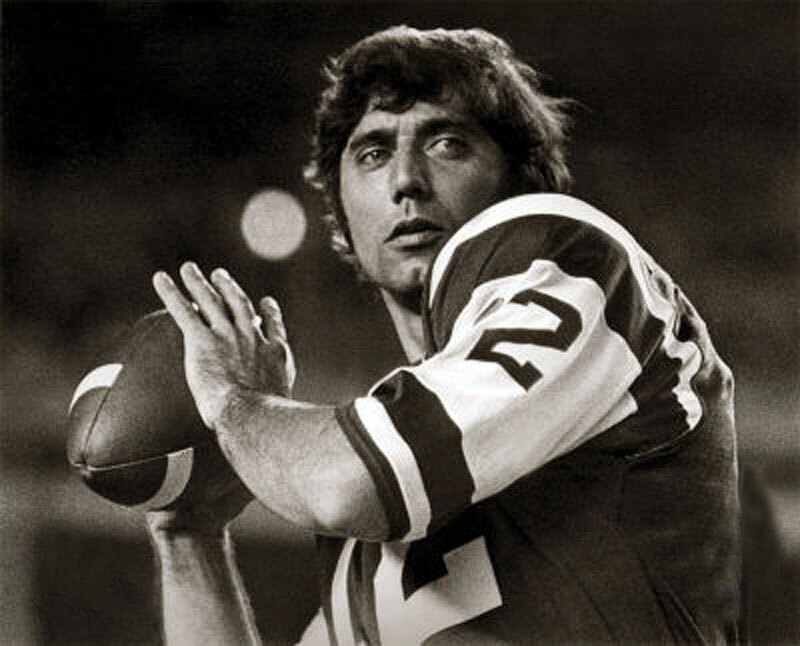 Joe Namath is considered to be one of the great American NFL Quarterbacks as well as a Superbowl winning Quarterback. 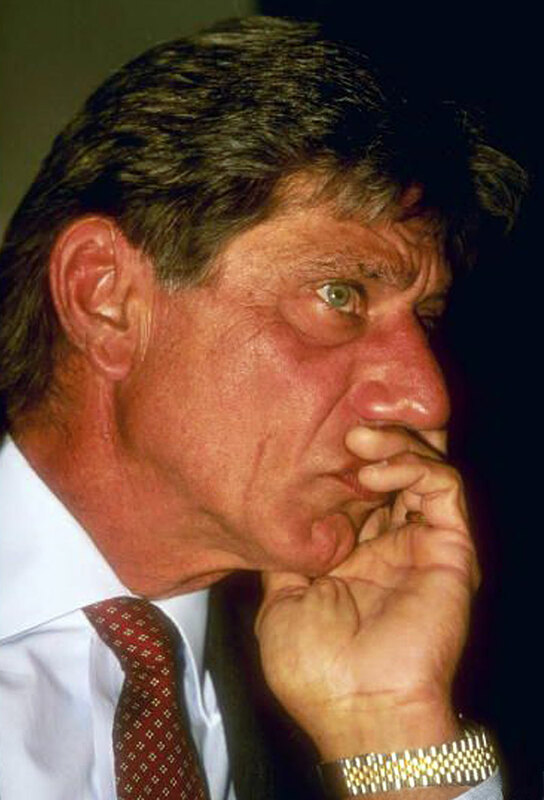 Brodway Joe Namath was also inducted into the Pro Football Hall of Fame. 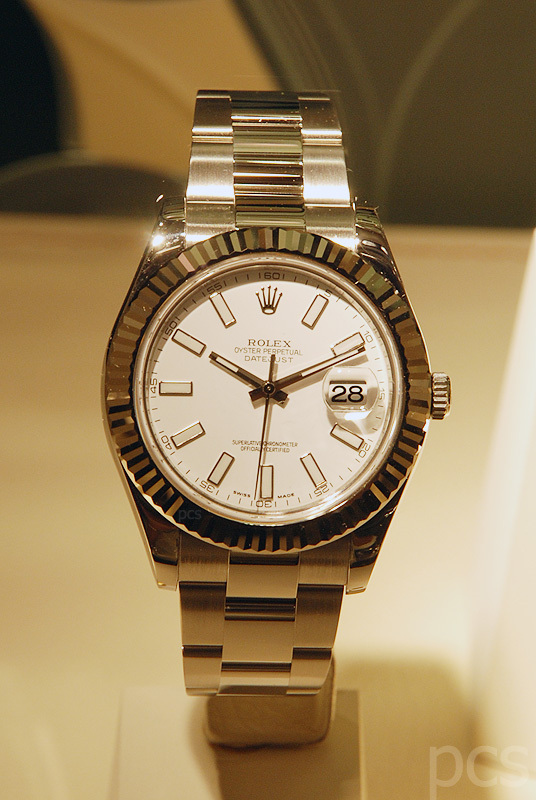 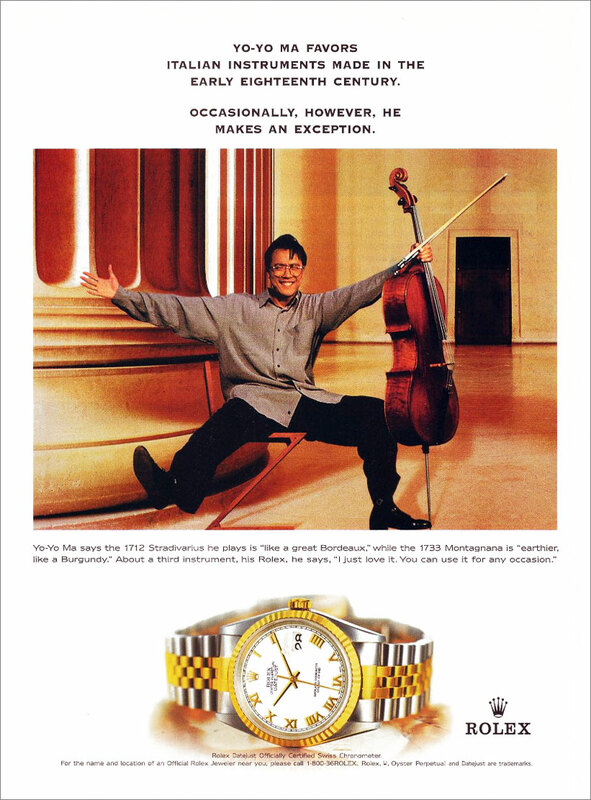 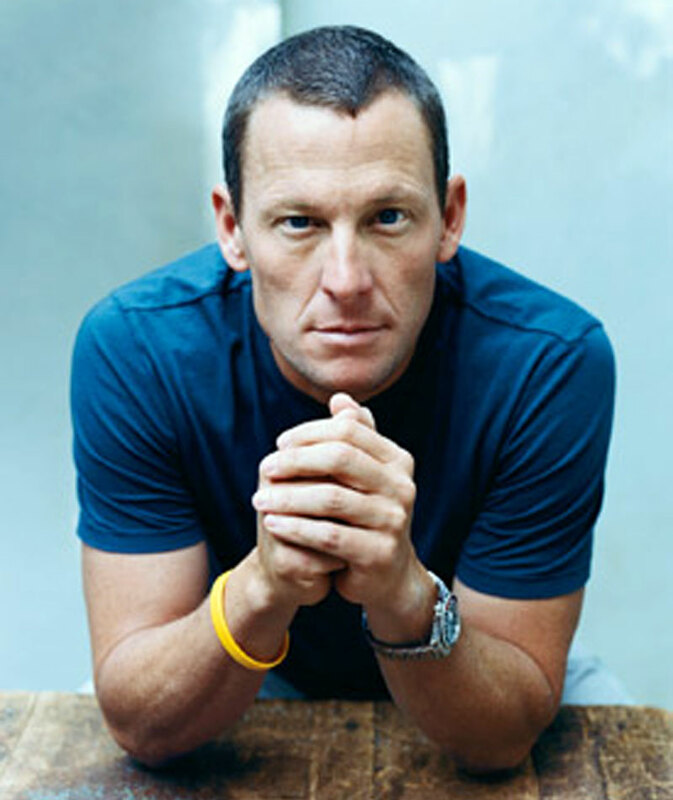 Joe is pictured below wearing his two-tone Rolex Datejust on a Jubilee bracelet. 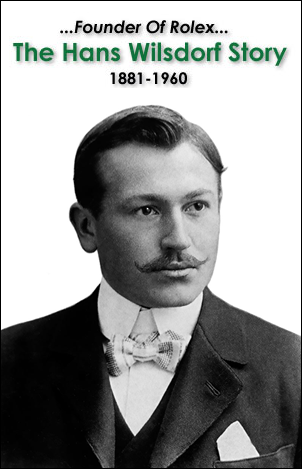 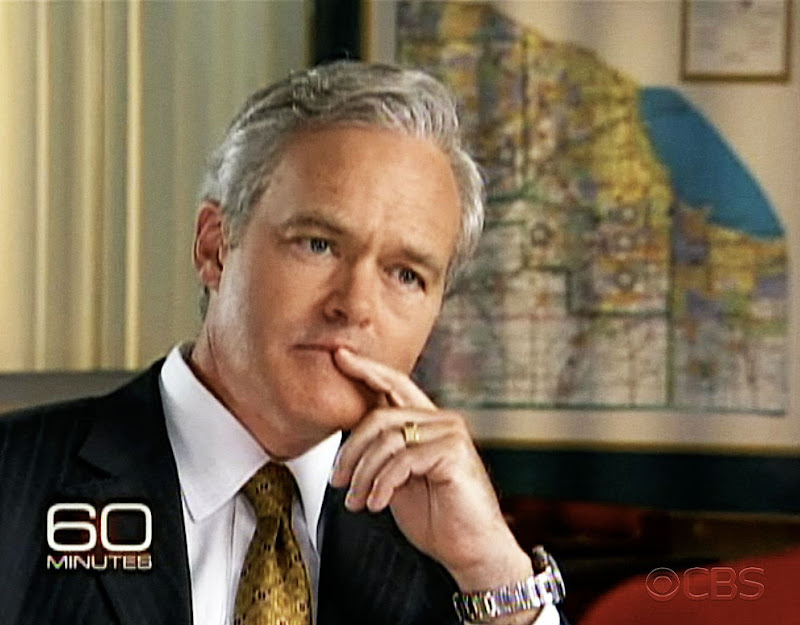 I started watching 60 Minutes when I was 11 years old and it has been my favorite TV show ever since. 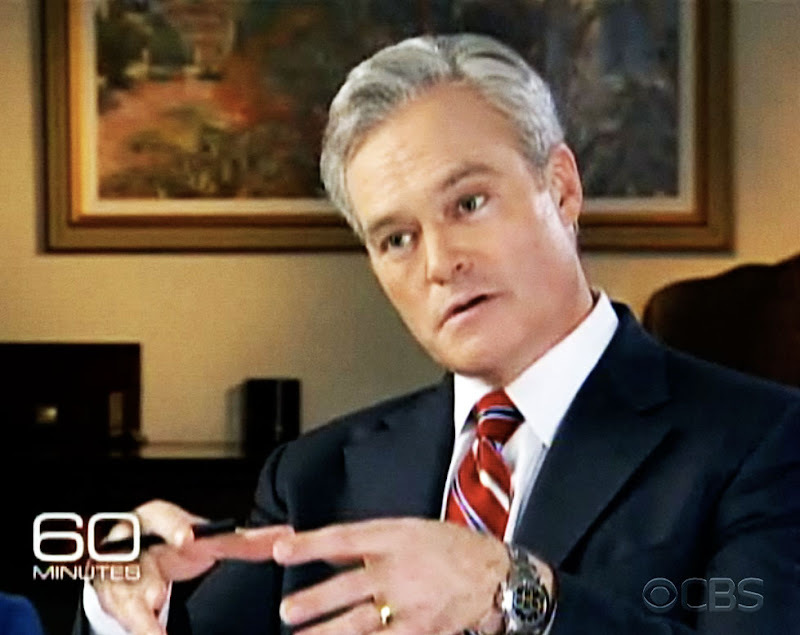 Scott Pelley is one of the main reporters on 60 Minutes and he is pictured below wearing his trademark stainless steel Rolex Daytona with the black dial. 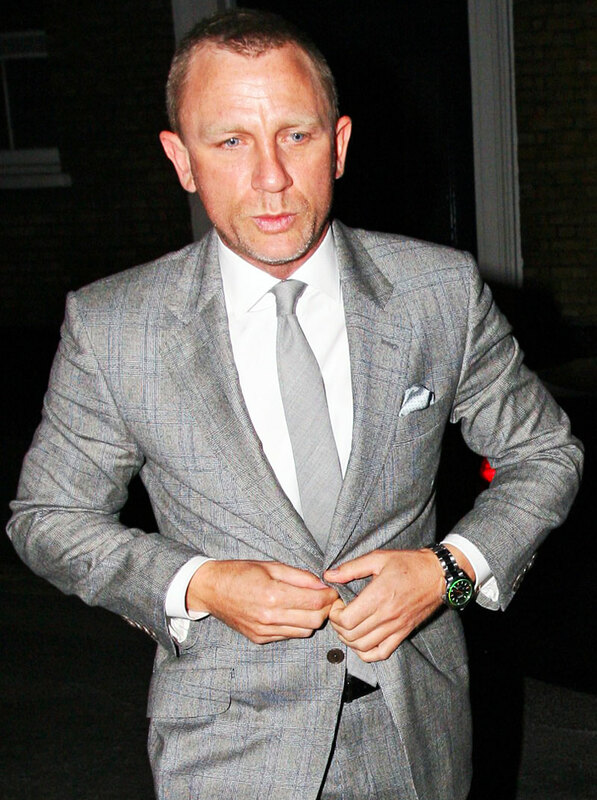 Scott is a flawless gentleman and a superb reporter. 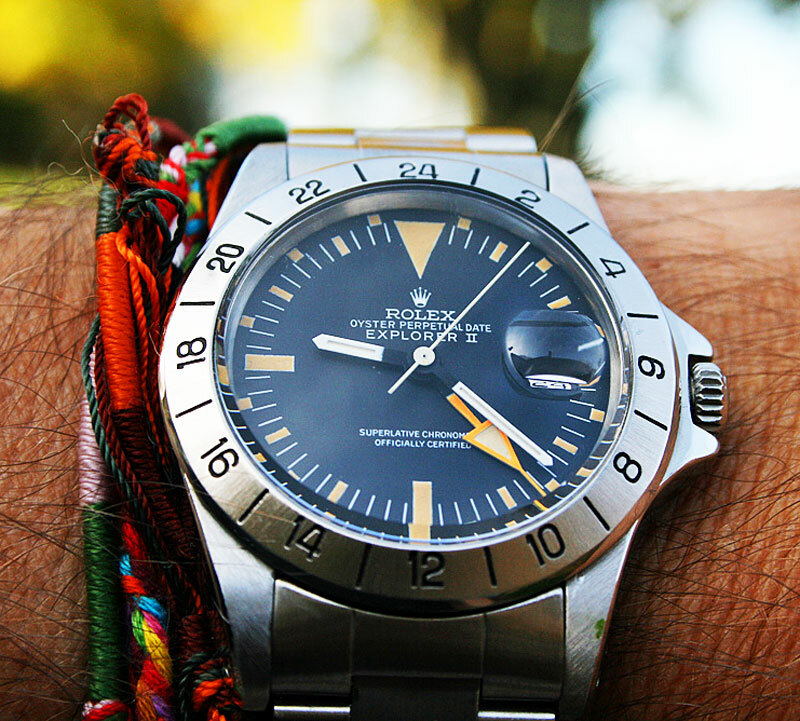 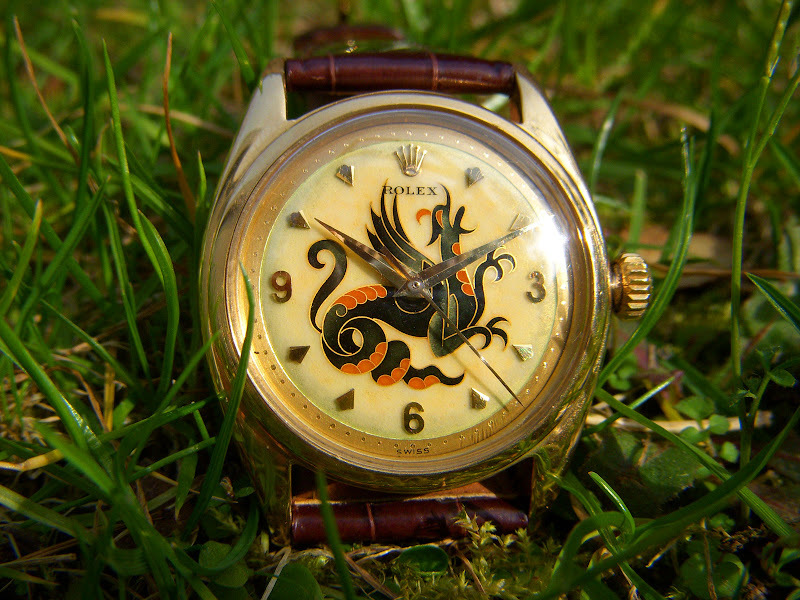 Abel is from Buenos Aires, Argentina and he has been a big fan of Jake's Rolex Watch Blog for a long time now. 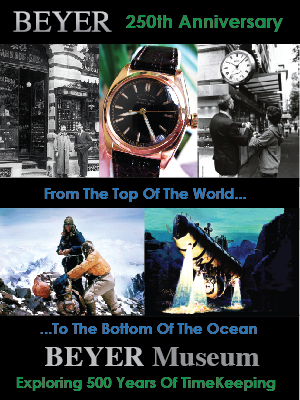 As a matter of fact I dedicated the Mocha GMT story to him because he has been such a great fan. 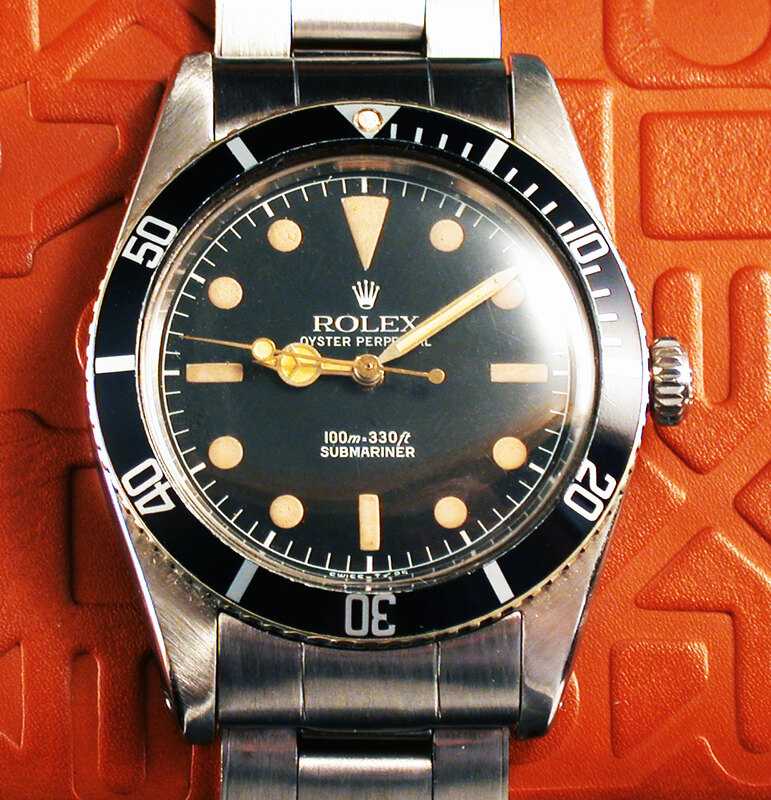 Abel recieved his first Rolex (Submariner) from his parents when he was 18 as a high school graduation present–and that was 42 years ago!!! 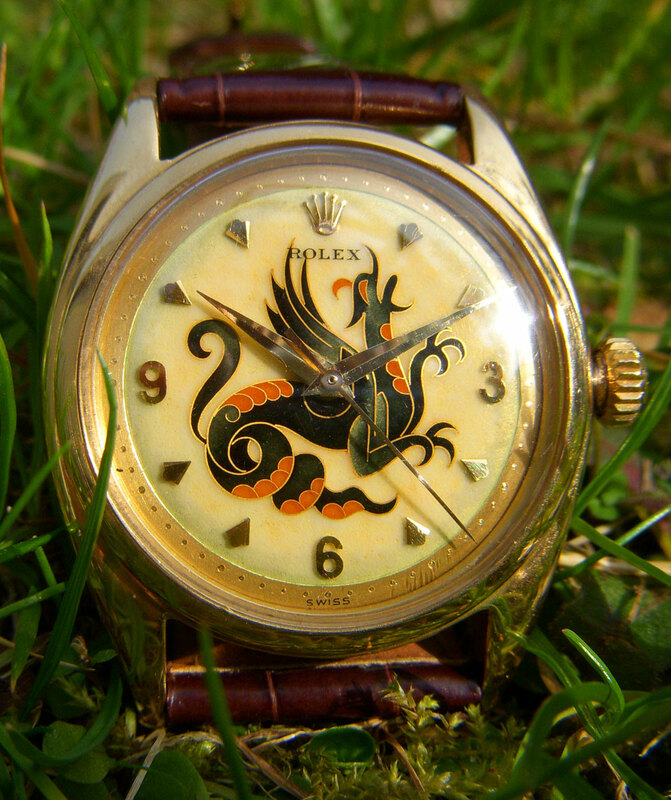 Abel wrote in originally and shared a great story about how he had been a big fan of the I Spy TV show which stared Bill Cosby and Robert Culp and Abel used to be fascinated with their Rolex Pepsi GMTs. 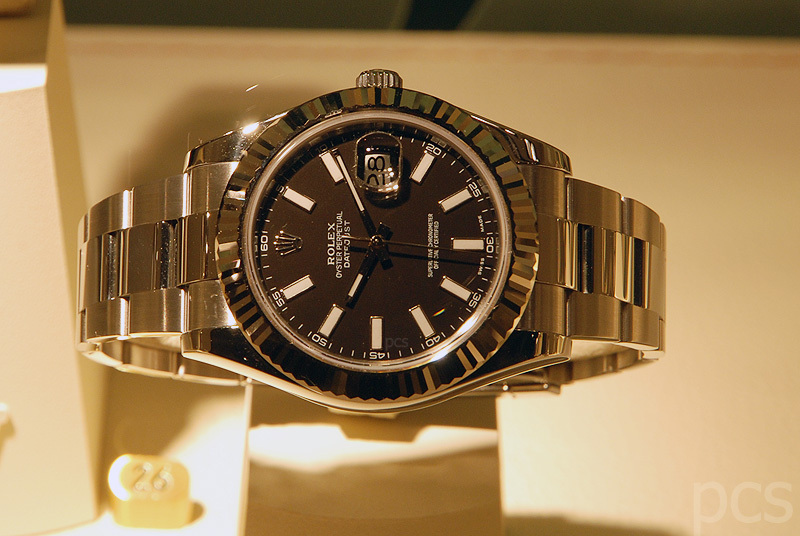 Ever since, Abel has been in love with the Rolex brand but he always had his Grail Rolex he wanted and after all these years he finally got it!!! 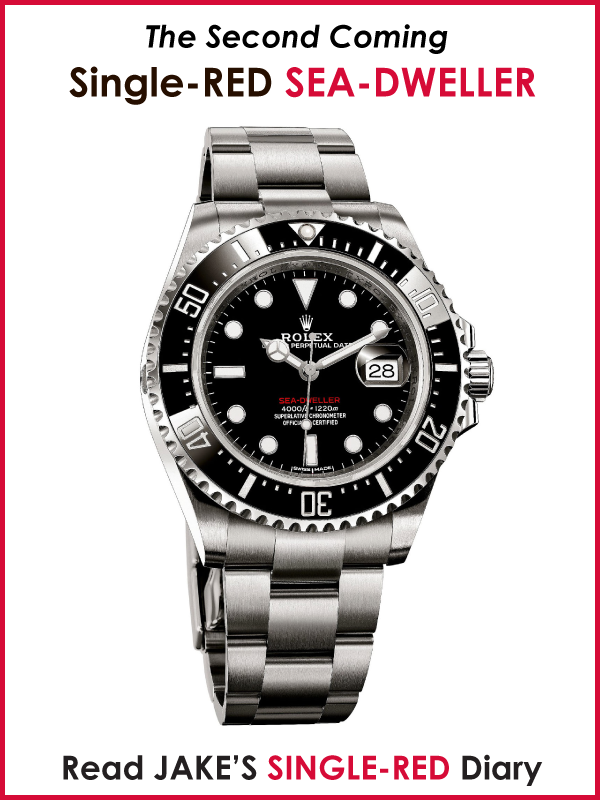 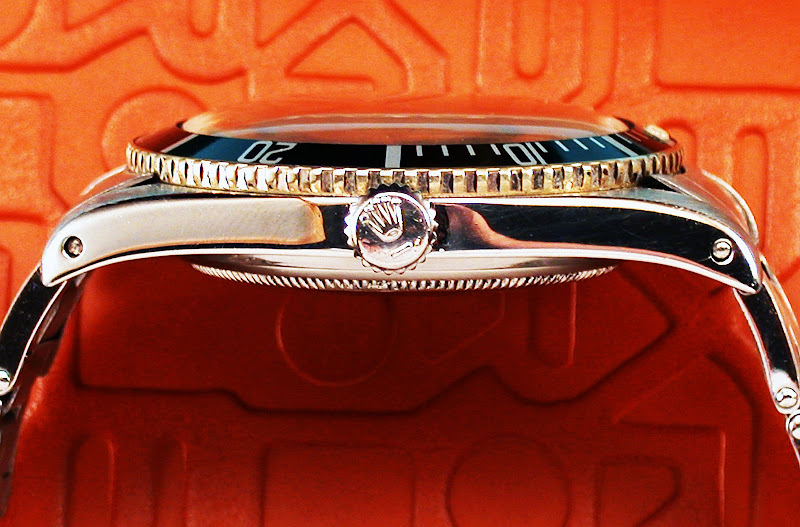 It is a "No Crown Guard" James Bond Submariner. 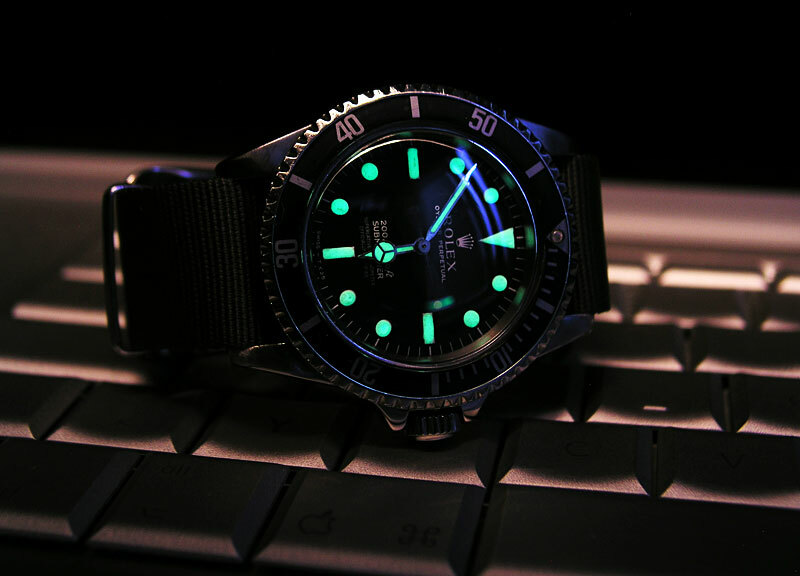 Abel sent in these photos of his fantastic new grail watch to share with you. 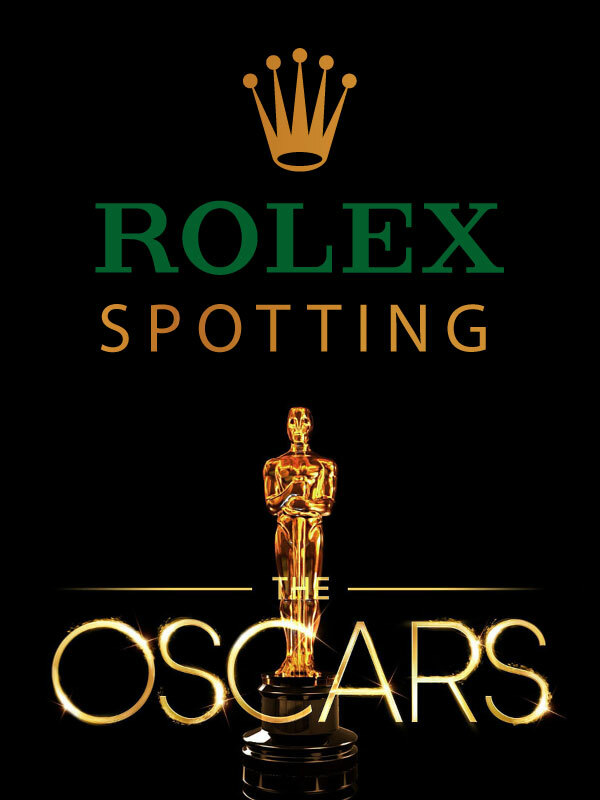 On behalf of all the readers of Jake's Rolex Watch Blog, I would like to congratulate you Abel and extend our best wishes that you wear your Grail Rolex Well!!!! 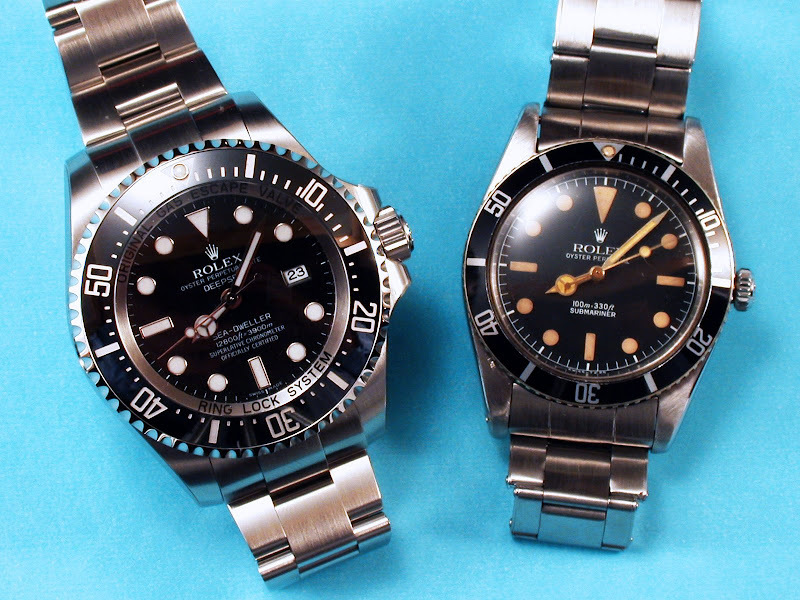 Abel shot his DEEPSEA SEA-DWELLER next to its great grandfather.